Sinn FÉin Justice Spokesperson Aengus Ó Snodaigh TD, speaking at the launch of his party’s proposals for ‘Creating Safer Communities’ last Tuesday, has said statutory agencies, local councils, the gardaí and the communities themselves including private landlords each have a role to play in creating safe communities. In the document Sinn Féin makes significant proposals for good estate management in partnership with communities including community restorative justice programmes, mediation schemes and the establishment of ‘Good Community Agreements’. Two months ago Sinn Féin published proposals for Garda resourcing and deployment in order to effectively police crime. Tuesday saw the launch of a complimentary set of proposals to create safer communities through better estate management in partnership with communities. The primary focus is on prevention through intervention at the earliest opportunity where a risk of engagement in criminal or anti-social behaviour is identified. The Sinn Féin proposals strongly promote the ‘community restorative justice’ approach which requires an emphasis on mediation, restitution and reparations. It was emphasised at Tuesday’s press conference that all of this must compliment robust law enforcement with criminal sanction for criminal behaviour. “In our view statutory agencies, local Councils, the gardaí and communities themselves including private landlords each have a role to play in creating safe communities. 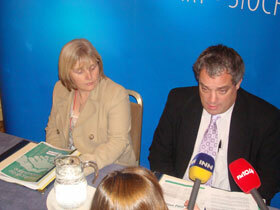 And they should work in equal partnership to achieve this goal” Deputy Ó Snodaigh told reporters. The Dublin South Central TD said that the principle of full partnership underpins one of the key proposals in the document – Good Community Agreements. The idea is to enhance community input, participation and ownership of strategies to prevent and tackle criminal and anti-social behaviour in their local areas. “Local authorities and local gardaí, in conjunction with tenants’ committees or residents’ associations and other community stakeholders, would host public meetings on an estate-by-estate, development-by-development, or even street-by-street basis. At these meetings all residents and private landlords are invited to discuss general issues around community safety, culminating in the drawing up of a collective Good Community Agreement”, Ó Snodaigh said. “What’s different about our proposal is that it ties in residents of all tenures and private landlords. It also involves gardaí making commitments to their community and these might involve, for example, committing to higher visibility policing in problem areas at problem times”, he said. Also speaking at the Sinn Féin press conference, Dublin City Councillor Críona Ní Dhálaigh said communities should not be expected to put up with blatant drug dealing on their doorsteps. Ní Dhálaigh said that as a member of the Dublin City Joint Policing Committee working group on Estate Management she is actively progressing Sinn Féin’s proposals for a joined up approach to better estate management from all the relevant agencies. Ó Dálaigh said that as a Dublin City Councillor and member of the Joint Policing Committee including its Working Group on Estate Management she was actively progressing Sinn Féin’s proposals. The Joint Policing Committee Working Group on Estate Management is currently examining the roles of the Courts, gardaí, the HSE, Housing Associations and residents committees. It is also looking at tenancy leases, tenants training and eviction policies. 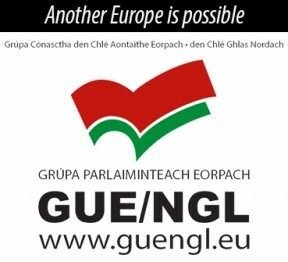 The working group will produce a report by the end of the year. “Canvassing doors across Dublin in the run up to the election we often encountered people telling us, in whispered tones, of the persistent and blatant drug dealing going on just a few doors away and of their futile efforts to get this situation addressed. “This is intolerable and it cannot continue. Communities should not be expected to put up with it. A new approach is needed and that is precisely what Sinn Féin is proposing and pushing for in the Dublin City Joint Policing Committee”, Ó Dálaigh said.